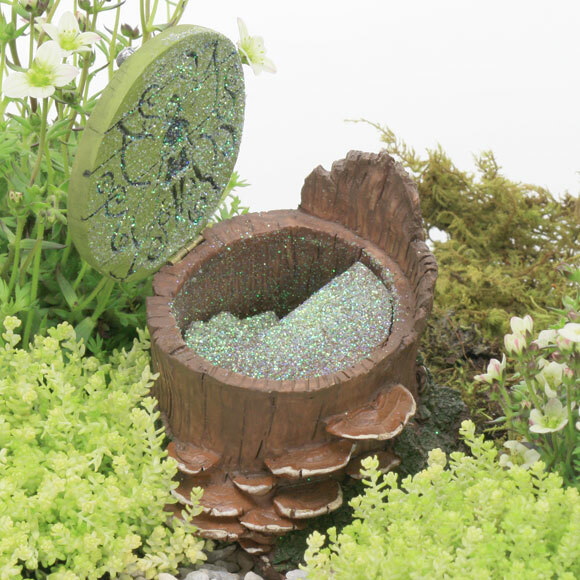 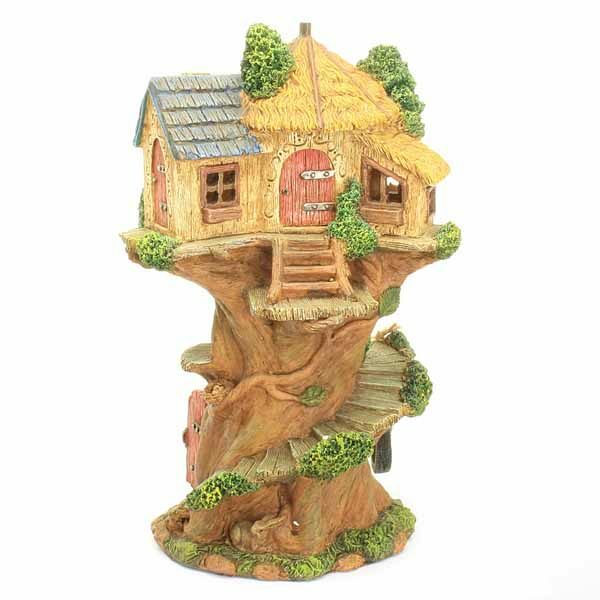 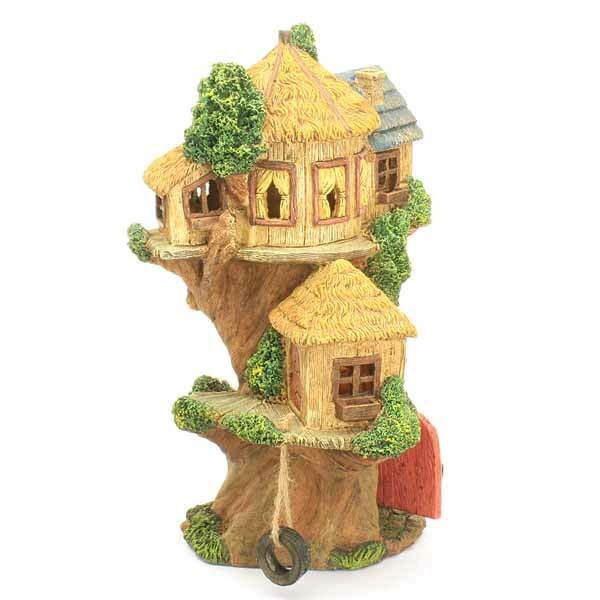 This is a large scale fairy tree house with lots of character, charm and detail. 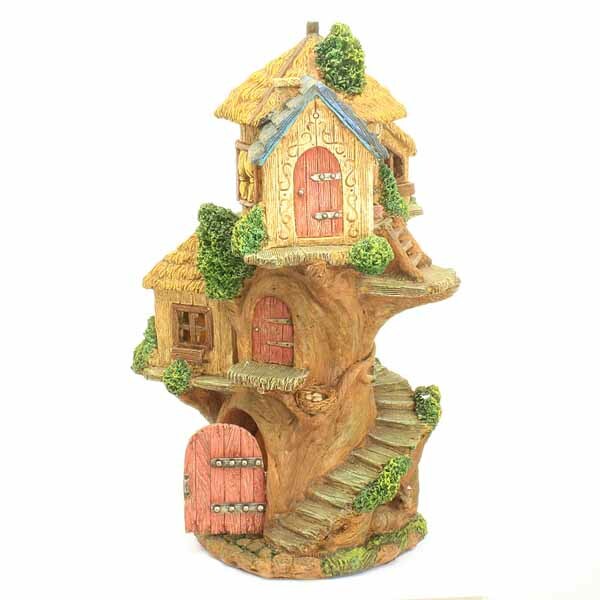 A set of steps winds around the tree trunk up three floors with an opening door on the ground floor. 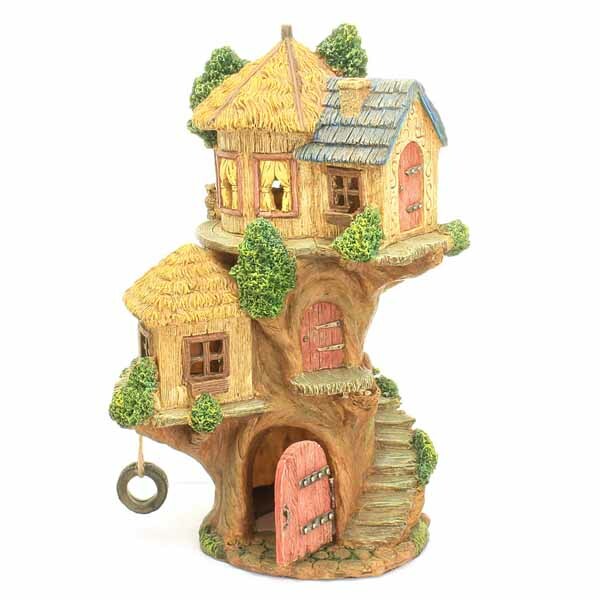 The tree house has a birds nest, owl, hiding bunny and a rope tyre swing.